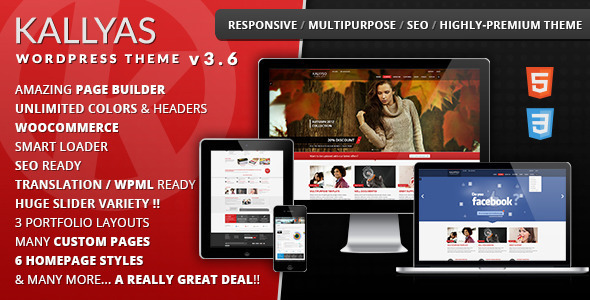 Kallyas 3.6 newest version : Released on March 4th, 2014. It’s super flexible, clean design (and code), without modesty, one of the most complete theme ever created. It has the latest techologies and trends and it can be used in a huge variety of domains. We found our theme used for so many niches, it’s incredible how flexible the theme is, whether for real estate, hotel, furniture shop, fitness, interior, a school, university or agency, even church and nonprofit and so many other fields. It’s an awesome adventure and we’re thrilled when we see our used as such.